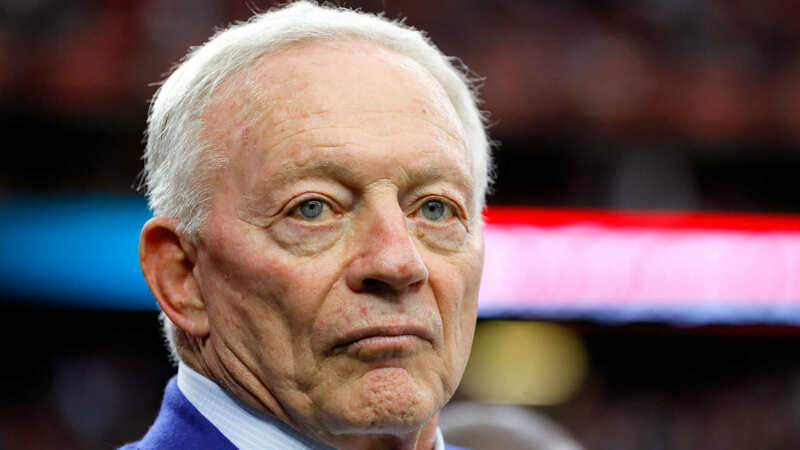 Even though NFL owners had been told to stay quiet about the league’s national anthem policy, it appears Cowboys owner Jerry Jones isn’t abiding by those instructions. Jones addressed the issue Wednesday ahead of the team’s camp as he told reporters the Cowboys would not have the option to stay in the locker room. Instead, all the players are expected to stand for the national anthem on the field. “Our policy is you stand during the anthem, toe on the line,” Jones said in a press conference, via USA Today. Later in the press conference, he was rather candid when it came to President Donald Trump’s involvement, as he said Trump’s interest is problematic. Jones’ comments come just a day after Bengals owner Mike Brown implied he and his fellow owners around the league have been asked to refrain from discussing the issues surrounding the national anthem policy. The NFL and the NFLPA released a joint statement last week saying that “no new rules relating to the anthem will be issued or enforced for the next several weeks while these confidential discussions are ongoing” after both sides were unable to reach a resolution over the anthem policy. President Donald Trump weighed in on the issue earlier this week when he said players should be suspended for a one-time violation of the anthem policy. The NFL National Anthem Debate is alive and well again – can’t believe it! Isn’t it in contract that players must stand at attention, hand on heart? The $40,000,000 Commissioner must now make a stand. First time kneeling, out for game. Second time kneeling, out for season/no pay!